Working outside in winter weather can be unsafe, so reviewing safety tips and applying them can help prevent a work injury. 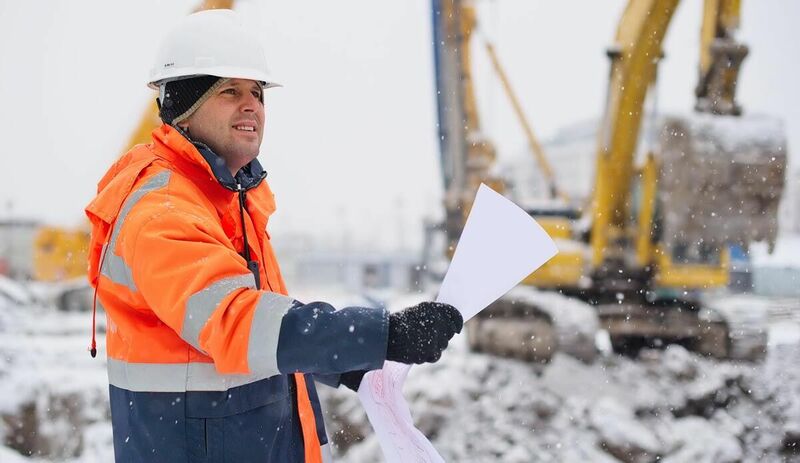 Winter weather has arrived in St. Louis and those that work outside are in danger of the variety of cold weather injuries that come with it. There are two excellent ways to handle the cold season. First, make sure you have a plan for a possible work injury and be prepared to call a St. Louis work accident lawyer. Second, you can review safety tips for this weather and try to avoid an injury altogether. The two primary dangers of cold weather are slipping on the slick ground and having your body temperature fall significantly. Both of these hazards are more likely to affect you if you’re not adequately nourished. As a result, keeping yourself safe can be as simple as drinking water and eating a balanced meal before and during your workday. Another thing you can do is get a good night’s sleep. What this habit will do is help you be alert and energetic. Not only will those factors help you do better at your job, but they will reduce your chances of slipping and falling. Fatigue can be incredibly dangerous, so getting adequate sleep is crucial. You should stop working periodically and warm yourself up if you can. Doing so will bring up your body temperature and protect you from all of the dangers associated with the cold. Additionally, taking a break here and there may also make you more productive. This is an obvious one, but very important to mention since many fail to dress appropriately for winter weather conditions. That might mean wearing a heavy coat, pants, gloves, or any other piece of cold weather clothing. No matter what, you shouldn’t be uncomfortable while working. Whether you’re trying to “tough out” the weather or you simply forget to wear proper attire, you should prioritize changing that habit. No matter how appropriate your attire is for the cold weather, getting it wet will make it practically useless. The reason is that moisture on your clothes brings your temperature down significantly. The best way to avoid this trap is by purposely staying as dry as possible throughout the day. Many St. Louis residents have the privilege of working in a climate controlled building. Other must work outside in the cold conditions. While doing so isn’t so bad, it can be unsafe. For this reason, reviewing safety tips and applying them to your day to day life is in your best interest. Unfortunately, you might find that your efforts fail and you end up injured. In that case, you’ll need to talk to a St. Louis workers compensation lawyer as quickly as you can. If you have been involved in a work injury, contact our St. Louis work accident lawyer to ensure that your rights are protected. Please call (314) 361-4300 or toll free at (888) 872-6795. You can also complete our Online Case Evaluation Form.